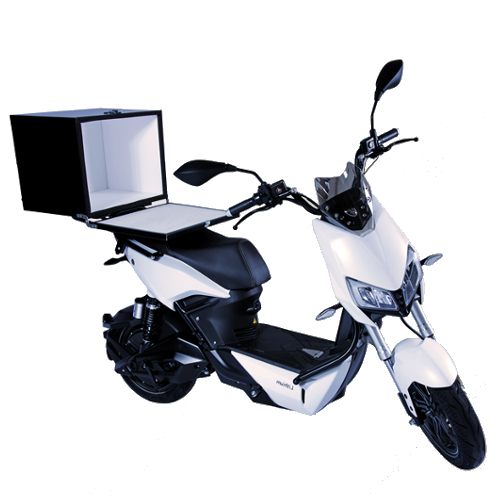 The Z3 or Z3s Delivery is an electric cargo scooter from the well known Chinese electric scooter manufacturer Yadea. The company sells it’s scooters in over 50 countries and has a production capacity of 6 million electric scooters per year. The scooter has a European EEC and American DOT certificate which makes it easy to register the scooter. 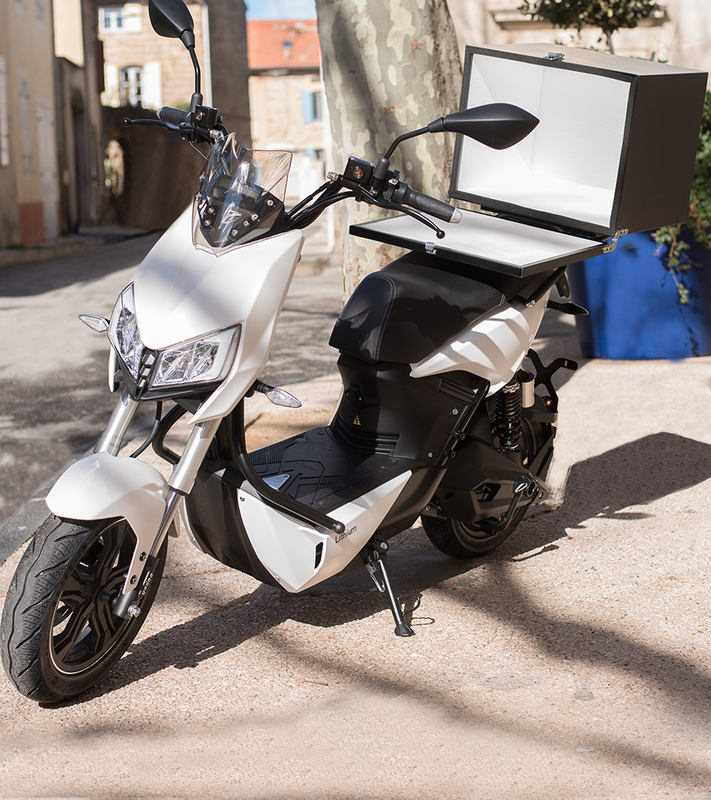 The scooter can be ordered online (by email) and is shipped world wide. The Z3 is the flagship model of Yadea. The Z3 Delivery is a special version enhanced for business purposes. 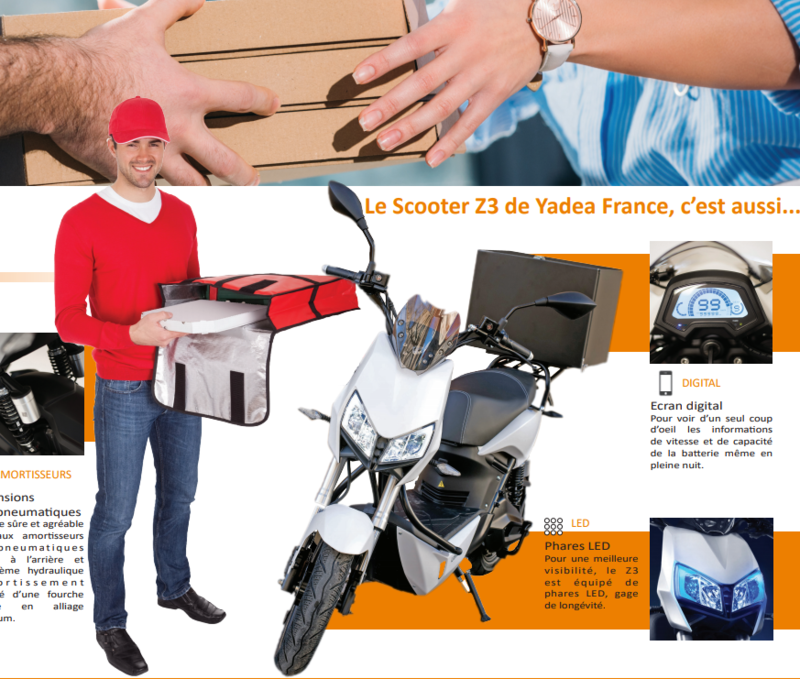 The scooter can be provided with many customizations, top cases and baskets for delivery, transport, ambulance or security purposes. The Z3 Delivery has the same battery as the Tesla model S. The 26 Ah Lithium battery is removable and offers a range of 120km with a charge time of just 2 hours. 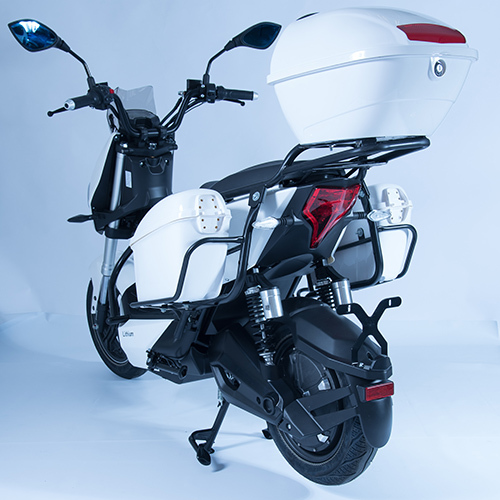 The scooter has a powerful 2500 watt electric motor (120nm torque) that enables the scooter to carry a load of up to 200kg while accelerating from 0 to 45 km/h in a few seconds. The battery is made by Panasonic and is of high quality. The power output is guaranteed under extreme conditions of -10 ° to + 55 ° C. The weight of the battery is 10.5 kg. The scooter is loaded with the latest technologies including ABS brakes, tune-able gas shock absorbers and a hydraulic upside down damping system made of an aluminum special alloy on the front axle. The frame of the scooter is made of carbon alloy, a light weight material that is stronger than aluminium. The scooter is a true smart scooter that connects with a mobile phone app. The scooter provides navigation and has more than 60 sensors that enable the scooter to self-scan essential parts to detect and prevent problems. Self-diagnoses results are available in the app as a 3D photograph and if there is an issue, the app provides a recommendation of nearby maintenance shops. The Z3 Delivery is extensively tested for robustness and durability. 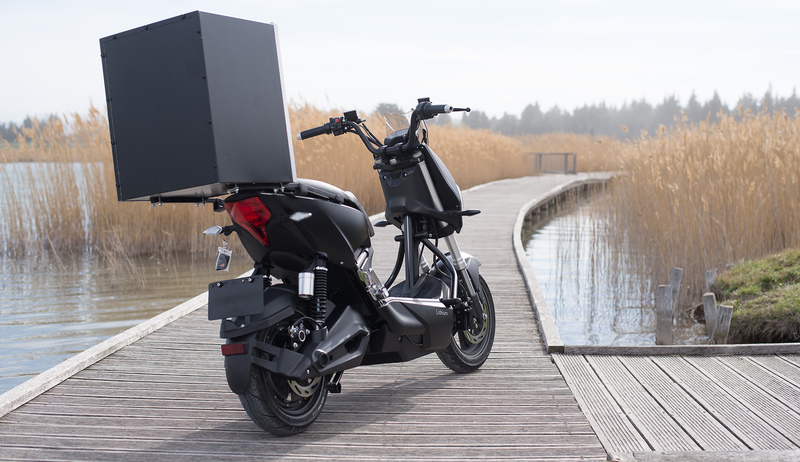 The scooter passed more than 200 national tests and completed more than 100,000 test kilometers with 120 days of tests. By using an extra battery, the scooter can operate 24/7 with a high reliability and little maintenance. The scooter is available in many colors and color combinations and can be provided with a custom business print.